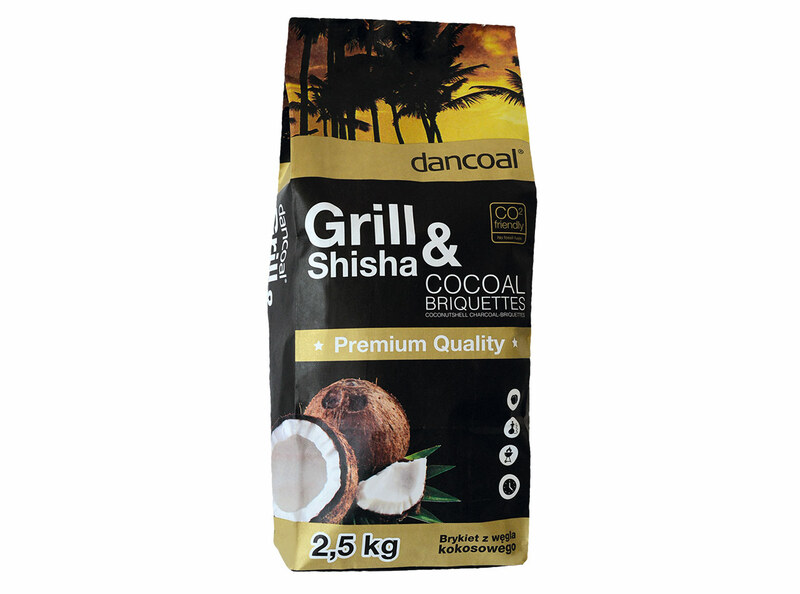 Grill & Shisha Cocoal briquettes is a 100% environmentally friendly product, manufactured from carbonized coconut shells. Its unique structure allows it to burn longer and reach higher temperature than regular charcoal briquette. Thanks to its high purity and very long burning time, Dancoal Grill & Shisha Cocoal briquette is highly valued by water pipe users. It contains far less ash than regular charcoal briquette. Big, economic 2,5 kg package is the feature that makes our product stand out.